PST Splitter - split PST files and archive Outlook automatically. A free tool to archive Outlook data automatically even if Microsoft Outlook is closed. Split PST files according to selected criteria and filters using PST Splitter Pro Edition. Move or copy Outlook data. Split large files to avoid reaching the PST file size limit. Free Outlook autoarchive tool. Split Microsoft Outlook data to multiple PST files. If you are Microsoft Outlook user for a long time, you know how frustrating it can be to deal with huge amount of data. Large PST files slow down Outlook’s performance and it is hard to stay productive with slow loads of data and avoid constant PST corruption. The best solution in this case is to automatically split the PST file into smaller Outlook data files and move them to separate Archive files accessible from Microsoft Outlook. You can easily open PST files without Microsoft Outlook using OST PST Viewer tool. PST Splitter is a free tool to split and archive Microsoft Outlook data automatically. Schedule automatic archiving by date and you can completely forget about it. Data is moved to a new PST file, which is independent and native to Microsoft Outlook. None of the data will be harmed during this procedure. You can easily connect the split PST file to Outlook and access all items in an unchanged form. The PST Splitter Free version gives you the same result as the Microsoft Outlook AutoArchive feature. The difference is - using AutoArchive, Outlook must be open in order to run the archiving process. Using PST Splitter files will be archived according to a schedule regardless of whether Outlook is running or closed. Effectively manage Microsoft Outlook data files using PST Splitter Pro Edition. It enables you to split Outlook data manually by various criteria, such as size, folders and accounts. Archive unnecessary folders of old projects and move them from existing PST to a new one, or just copy data to have it in both places. Reduce the size of your PST file, avoid reaching 2GB limitation and increase Outlook performance. Freeware to split PST files and archive Microsoft Outlook data. Split PST files automatically by the chosen schedule date. Use the free PST file splitter to avoid reaching the PST size limit. Archive email and other items in Outlook folders into smaller PST files. This will help you organize Microsoft Outlook, stay productive and access archived data at any time. Automatic Outlook PST file split. Alternative for Microsoft Outlook AutoArchive. Improve Microsoft Outlook performance and speed by reducing PST file size. Outlook speed is highly affected by the amount of data you have connected to it. The best solution to reduce the PST file size is to split it. This way you can greatly improve the Microsoft Outlook performance. The data of split PST files is safely archived in the same file type and can easily be used at any time. Avoid reaching Microsoft Outlook 2002 PST file size limitations. This tool resolves a problem caused by the Microsoft Outlook 2000 2GB data limit. Archive old or unnecessary data by splitting your PST file. Instead of deleting files, you can have much lighter Outlook by using PST Splitter. The PST Splitter Pro Edition enables you to split PST files manually according to different criteria and filters. The ways to split files can be combined, e.g. split the file by specified date, then choose another criteria such as folder or size and repeat the process. Manually archive Outlook data by date. Outlook data can be split by date automatically using the Free version. The PST Splitter Pro Edition gives you an option to split PST files manually. Choose a time interval from the drop-down list or select specific “from” and “to” dates. Use PST Splitter Pro to split Outlook PST files by size. Select a custom size of files you want to get in the end or choose to split files to fit in 2GB limitation automatically. Organize your data by splitting selected folders to different PST files. Archive data of old projects and keep them separately archived instead of having everything in Outlook. It is easy to access and find items you need from an archive when you have different PST files for each folder. In some cases the data of several Outlook accounts is kept in a single PST file. PST Splitter Pro has an option to split data by accounts. This way you can have separate PST files for each account and use them independently. When you set up PST splitting options you are able to choose if the data will be copied to another PST or moved. Copy the data to another file and keep that data in both PST files. Import the split PST file to Outlook on a different computer and have the same data accessible from two PCs. Select to move Outlook data to another PST file instead of copying it. By choosing this option you will archive the data and decrease the size of the current PST file. PST Splitter Pro has an option to create a backup of the original file before splitting. This way you can be sure that you can always come back to the previous state of data. Preserved integrity of files and data. PST Splitter is completely safe to use. None of the data will be harmed or somehow changed during the split. PST file and data integrity is kept. Data of the newly created file will be accessible in the same state as it was before splitting. If you have set up a synchronization process, it won’t be affected. Split PST files of any Microsoft Outlook version. Split files of Microsoft Outlook 2013, 2010 or previous versions. Newly created PST files after splitting will be also usable on any version of Outlook. Free PST file Viewer helps you to open, view PST files without Microsoft Outlook and importing. View content of multiple healthy, damaged or corrupted PST files. Search, copy or export nu data from OST files. 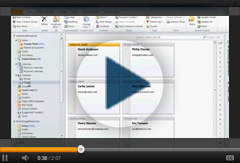 Open and View multiple OST files in a few clicks without Microsoft Outlook. Search, print out, extract or export information from orphaned OST data filest to PST, MSG, VCF or ICL file formats. PST Splitter cannot be used to divide OST files or damaged PST files. To repair corrupt PST files, you can use our PST File Repair Services by contacting our support. To convert OST files to PST file you can use our OST2 tool. PST Merger Merge Outlook personal folders data, copy or move the content from multiple Microsoft Outlook archive files into a single PST file. OST2 Convert OST to PST files and connect converted files to Microsoft Outlook.